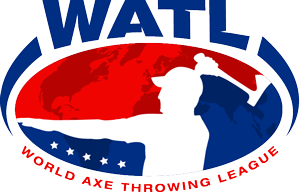 Tom O' Hawks in partnership with the World Axe Throwing League will run league play for 8 weeks. You will be allowed to have practice throws and warm up so make sure to be there on time! For the first 7 weeks everyone will get at least 40 competitive throws per night. €119 gets you 8 weeks of Axe Throwing fun, music & craic for less than €15 per night. Bring the beers, food and social spirit for a great night of unbeatable value, fun and entertainment! Your score for each throw will be tallied and recorded. This will ensure that we're not ranking you based on who you go up against, rather, your skills at hitting the bullseye's and kill shots to get top scores. Our Top 16 Regular Season Competitors will then make it to the Championship Tournament in week 8 to determine the Axe Throwing League Champion! Each League Night we offer a new weekly challenges! For instance most bullseyes one week, most blue balls another week, most rounds with perfect score, best dressed, Best war cry, Best throwing face, highest score of the night…Its going to be so much more than just Axe Throwing! Members can invite friends and family to come watch and to soak up the atmosphere and experience of axe throwing first hand! The Champions’ Ball will be held after the current season has ended and once we have Crowned our Axe Throwing Seasonal Champion! A €60 deposit secures your participation for League play! It's a first come-first serve basis and places fill quickly so grab your friends, family or partners and sign up now! GET ON THE WAITLIST FOR NEXT AVAILABLE SEASON!! !